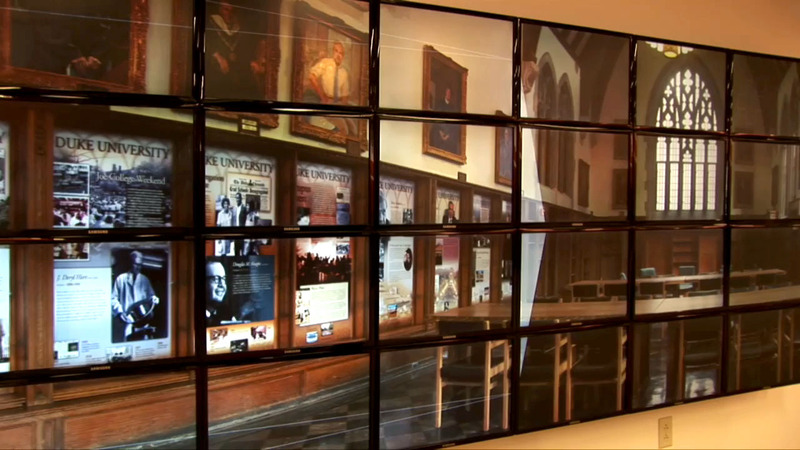 Fitzpatrick Institute for Photonics, Duke University. David Brady Group. 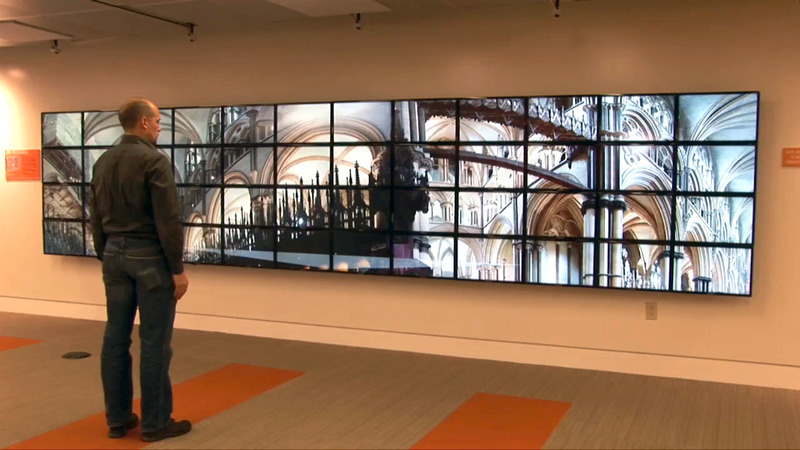 Gigapixel Navigator allows the viewer to explore ultra-high resolution digital images on a 96-core tiled-wall display cluster. This viewer application was written specifically to interactively explore images up to 50 gigapixels in size (50 billion pixels), on an 80 megapixel screen. The project was initiated in anticipation of a DARPA Aware gigapixel camera being developed by the Duke University Pratt School of Engineering DISP (Duke Imaging and Spectroscopy group), led by professor David Brady. There are currently two interfaces for the application– a top-down camera interface and a handheld iPod/iPad driven interface (the display cluster isn’t currently touch driven). We are exploring a Microsoft Kinect interface for the application, as well as a refined handheld interface. The software is written in C++/OpenGL, heavily utilizing the CGLX, OpenCV and Pthreads libraries.